The British Amateur Boxing Association is extremely saddened to hear of the tragic news of Richard Thomas’s sudden and untimely death. 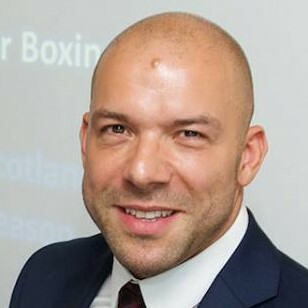 Richard served as a Director of the BABA for many years, and made a very significant contribution to the development of the sport in Scotland, modernising Boxing Scotland and leading the organisation to great success at both the 2010 and 2014 Commonwealth Games. He was hugely passionate about the sport and, most importantly, cared greatly about the boxers and providing them with the very best possible opportunities. His passion, energy and drive will be sadly missed and our thoughts and condolences are with his family and friends.